Reading, math, and science, colors, textures, and tastes­–cooking together with your child is multi-sensory fun that gives them much more than just good food to eat. Include your children in making family meals and see their confidence grow. Create some goodies for gifts and make snacks together and your children will learn about measuring, planning, and having patience while things cook. The more your children know about the food they eat and learn about cooking, the more adventurous they may be in what foods they will try! 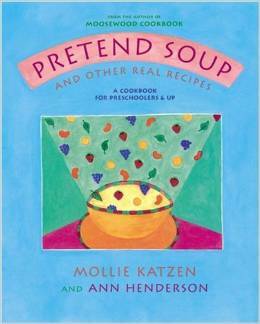 “Pretend Soup” by Mollie Katzen and Ann Henderson. Mollie Katzen collaborated with her son’s pre-school teacher to come up with vegetarian recipes for young children that are easy to make and easy to eat. Each recipe has a fanciful name but not fancy ingredients. Pre-readers can follow along by looking at the illustrations. “C is for Cooking: Recipes from the Street.” Favorite characters from Sesame Street give directions for making nutritious dishes like Big Bird’s ABC Chicken Noodle Soup and Cookie Monster’s Homemade Peanut Butter with recipes from guest chefs. Each recipe has at least one or two steps that a child can do on his or her own and activities to do while cooking. “Roald Dahl’s Revolting Recipes” by Felicity Dahl. Learn to make Mr. Twit’s Beard, Lickable Wallpaper, and Hot Ice Cream You Can Eat on Cold Days. Recipes are all foods from Roald Dahl’s classic books including “Charlie and the Chocolate Factory” and “James and the Giant Peach.” Read a book, then cook together and bring the story to life! “Kids’ Fun and Healthy Cookbook,” a DK book. This cookbook teaches basic cooking skills with step-by-step illustrated instructions. You’ll find recipes for Breakfast Crepes, Chicken Quesadillas, Tuna Noodle Casserole, Oven Fried Fish, and Ultimate Peanut Butter-Chocolate Squares as well as non-edible things to cook like homemade play dough and finger paint. “Not a Box” by Antoinette Portis. You may think a brown cardboard box is just a box. But with a little imagination it becomes a racecar, a mountain, a robot, a boat, or even a spaceship that can take you to other planets. “The Red Chalk” by Iris van dar Heide, illustrated by Marije Tolman. A girl starts off with a piece of red chalk and keeps trading it for things she think will be more fun–marbles, a lollypop, a yoyo. Meanwhile, each child she trades with is having a wonderful time using his or her imagination to go on great adventures with the girl’s cast-offs. You’ll never guess what this little girl finally decides is the most fun of all. “Quick as a Cricket” by Audrey Wood, illustrated by Don Wood. A boy imagines having the qualities of different animals. He can be as quick as a cricket, as large as a whale, or as strong as an ox. Along with physical attributes, the boy imagines emotional qualities too, so he can be as sad as a basset, as happy as a lark, as mean as a shark, and as quiet as a clam. What other animals can you and your child imagine to be? “Ladybug Girl” by David Soman and Jacky Davis. When you are little it sometimes feels like you can’t do as much. You’re shorter, not as strong, and not as fast as say, your older brother. Enter, Ladybug Girl! Dressed in red boots with black polka dots and red wings, this young girl uncovers her inner super powers. 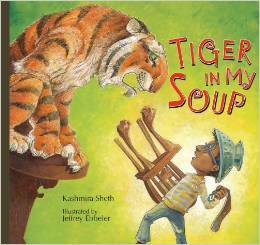 “Tiger in My Soup” by Kashmira Sheth, illustrated by Jeffrey Ebbeler. When a boy is bored with just a bowl of soup for lunch, “GRRRrrr!” A tiger emerges from the steamy broth and causes a lot of commotion. “Cat and Fish” by Joan Grant, illustrated by Neil Curtis. You may think that a cat and fish have nothing in common, but that’s not the case if you use imagination. In beautiful black and white illustrations this is a story of friendship and whimsy. Bring your imagination to Kids’ Book Fest this Saturday, November 8, 10am-4pm, at Boynton Middle School, 1601 N. Cayuga St., Ithaca, NY! Imagination is the theme of Family Reading Partnership’s 17th annual celebration of children’s books and admission is free thanks to an anonymous donor. 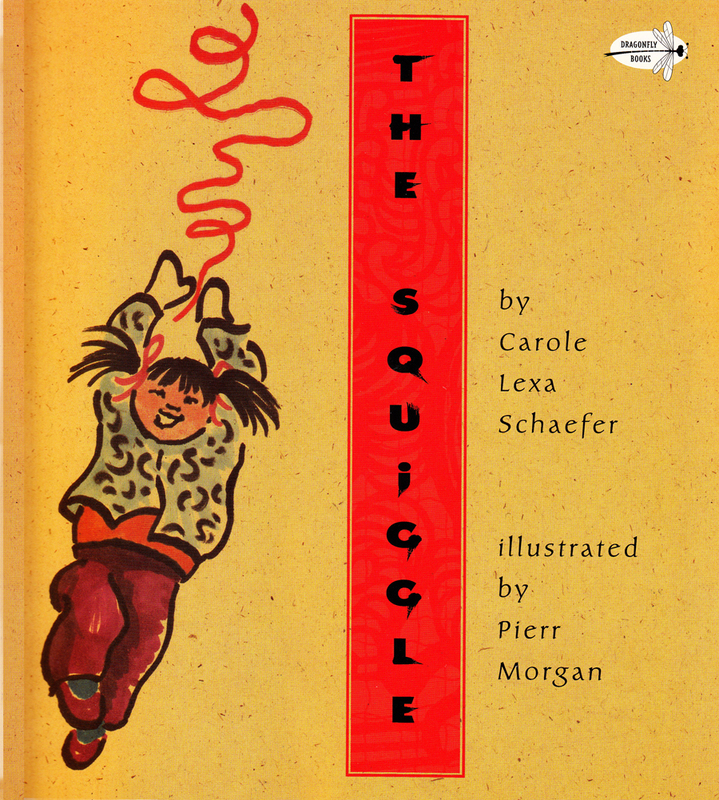 More than 3,000 area children received the book “The Squiggle” by Carole, Lexa Schaeffer, thanks to Wegmans Reading Centers. Come to Kids’ Book Fest and walk through the interactive Squiggle Central room, based on the book. Take home a creation from the Construction Zone art room, hear John Simon and Cal Walker perform Read-Along Songs, and visit more than 25 book activity stations hosted by community organizations. Babies and toddlers have their own special areas too, where there are quieter activities and board books to read. Don’t miss this chance to stretch your imagination and discover the wonder of children’s books! What’s the difference between a spider and a beetle? Do you know how many legs a butterfly has? How many queen bees live in one bee colony? You can find the answers to all these questions and more in the non-fiction sections of your neighborhood library. The children’s section has its own non-fiction area and you can find books about insects, spiders, and other crawling creatures in the 595s. Ask your librarian to show you around. Try out some of these books and gain a new appreciation for our multi-legged friends. “The Beetle Alphabet Book” by Jerry Pallotta, illustrated by David Biedrzycki. Big, detailed illustrations of 26 different kinds of beetles have a few short sentences about each. Learn about the huge variety of these hard-shelled insects, from the African Goliath Beetle that is as big as a hand, to the Zinc Metallic Beetle, that looks precious and shiny. “Honeybees” by Deborah Heiligman, illustrated by Carla Golembe, published by National Geographic Society. Easy-to-read scientific facts about honeybees and their fascinating lives are illustrated by with brightly colored paintings. The back of the book has instructions for doing your own Honeybee Dance with a secret code to communicate with a friend. 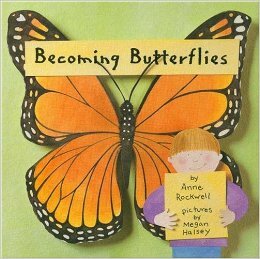 “Becoming Butterflies” by Anne Rockwell, pictures by Megan Halsey. Illustrations are created with watercolor and cut paper and show children in school caring for monarch butterfly caterpillars until they change into butterflies. The text tells the story of the life cycle of the monarch and the stages of metamorphosis. Find out what is about to happen when a chrysalis turns dark! “Make it Work: Insects” by Wendy Baker and Andrew Haslam. One of a series of “Make it Work” books that gives facts, creative projects, and activities about a subject for a multi-sensory learning adventure. In this book you’ll find directions for making different insects out of folded paper and styrofoam as a way to understand insect anatomy. There are also instructions for making a homemade moth trap and a box that can house an ant colony so your child can observe insects like a scientist.